About Old Town Roasting Co. - Old Town Roasting co.
Before Old Town Roasting had a name, the company had a motto: Coffee. Community. Compassion. Each batch of Old Town Roasting coffee starts with the finest specialty-grade green coffee available. 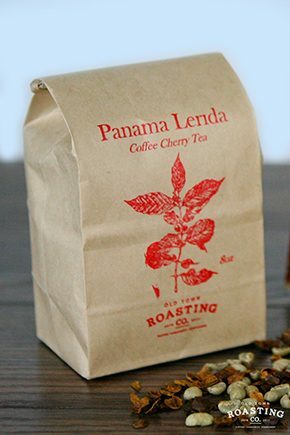 This coffee is bought from individual farmers and small collectives from around the world. Like fine wine, coffee is varied and unique, which is why all of old Town Roasting’s coffees are carefully roasted and tasted again and again, to insure the roasting process has brought out each coffee’s subtle characteristics and unique flavor. The farmers that Old Town Roasting works with put in too much hard work and passion growing and harvesting these coffees for them to end up rushed and over-roasted. Old Town Roasting offers both single-origin coffees and artisan coffee blends. Single-origins vary throughout the year due to the seasonal nature of the coffee itself. Old Town Roasting’s artisan coffee blends are carefully created to blend the artistry of each roast into complex flavors that appeal to a variety of tastes. Freshness is key for a great cup of coffee. 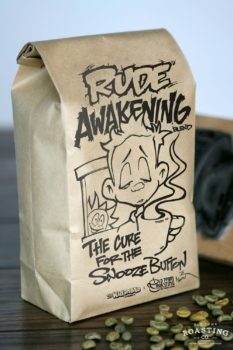 Regardless of the packaging, coffee will begin to degrade after the first week after roasting. This is why many other coffee companies simply show a “best by” date instead of telling you when the coffee was actually roasted. For these reasons, this is also why Shawn don’t roast your coffee until you order it. Old Town Roasting builds community through offering educational opportunities for people in the local community to learn about coffee and home brewing techniques. And as a Master Roaster, Shawn travels the world to teach other roasters about the art and science behind the craft of coffee roasting. Since the company’s founding in 2011, Old Town Roasting has proudly used 20% of company profits to fund interest-free loans for coffee farmers from around the world through Kiva.org. Old Town Roasting also makes weekly coffee donations to local homeless shelters as well as other non-profit organizations. As a company, Old Town Roasting is committed to environmental sustainability. So instead of using stickers, each bag of Old Town Roasting coffee is hand-stamped, so the coffee bags can be recycled and cut down on paper usage. Old Town Roasting also donates Chaff (a natural byproduct of roasting) to local gardeners and farmers to be used as a soil amendment. Old Town Roasting may not always be a smaller company like it is now, but our standards and values will never change. You have Shawn’s word on it.